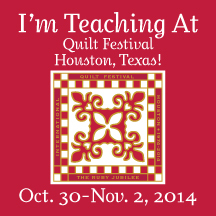 I am excited to announce that I will be teaching again at the Fall International Quilt Festival, held in Houston, Texas. This is the 40th year that the show has been held, and let me tell you, this will be an exciting event! Click the banner above or here for the link to class signups. Note: Click the “Classes” link for each day; a PDF of the full class listings will open. Click the class itself, and many classes have project photos that you can see. Click on the title to see if one is available. For my classes I have linked the picture to the class. 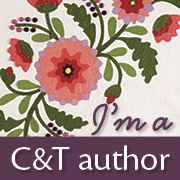 I will be teaching “Tandletons- Traditional Embroidery Stitches” and “Fabrics to Dye For”. I will be teaching the “Button Nose Pansy brooch”; Mixed Media Miscellany seminar I will be giving a presentation on “Creatively Collaged Concoctions”. Friday’s Sampler seminar I will be giving a presentation on “What’s in your Button Box?”; and teaching “Bohemian Button Bracelet”. Saturday’s Sampler seminar I will be giving a presentation on “All That Glitters”; and teaching “Ribbons To Dye For”. View From The Red Planet…. I found time to clean up the work room, and came across several small projects that have been waiting to be completed. So I hope to dedicate the next few months to completing some of these. 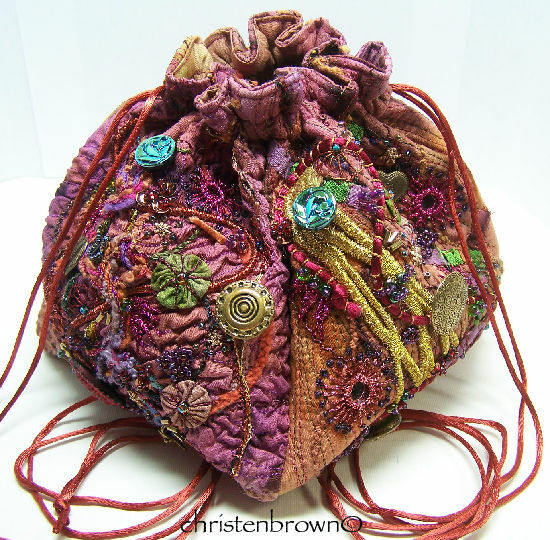 This is the first project, made from left-overs bits of this and that from a class that I teach, “Embellished Silk Treasures”. The base is made from split silk cocoons, which were adhered to Lutrador, then machine embellished with gold threads. 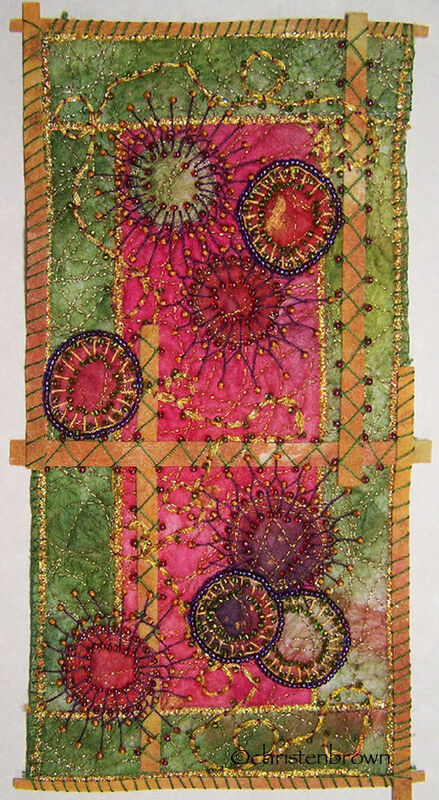 This was then embellished further with bits of painted vilene, fabric circles. A few embroidery and beading stitches enhance the components.